“Arctic” arrives in Seattle theaters at a time when many of us might not feel like settling in for a tale of survival against frozen elements. But Mads Mikkelsen makes this man-against-nature arm-wrestling film compelling. Rating: 3 stars out of 4. A movie that finds its voice in the caustic scrape of snow against a makeshift shovel, “Arctic” arrives in Seattle theaters at a time when many of us might not feel like settling in for a tale of survival against frozen elements. But, if tense man-against-nature arm-wrestling is your jam (think Robert Redford in “All Is Lost,” but with snow and Mads Mikkelsen) this film makes for a compelling hour and a half; you know where it’s going, but you never quite believe it’ll actually get there. 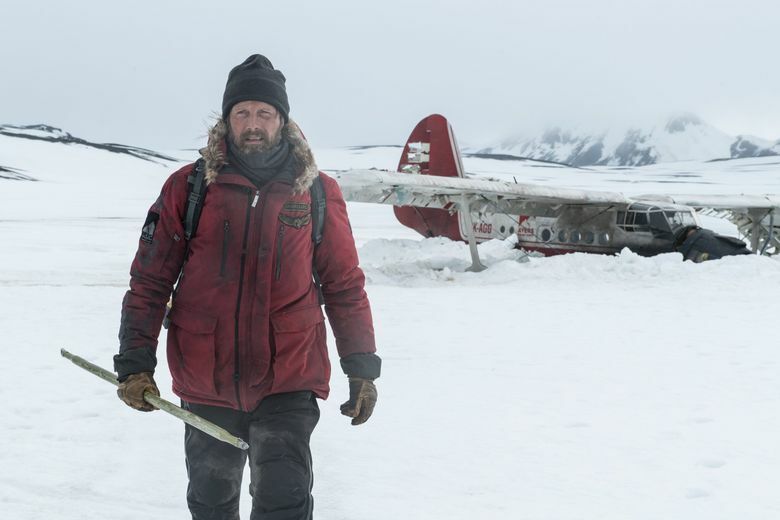 Mikkelsen, in what’s mostly a one-man show, plays Overgard, whose small plane has crashed somewhere in the Arctic before the film’s story begins. He’s figured out how to survive — fishing through the ice, sheltering in the remains of his plane, waiting patiently for a passing plane to spot him. But when one does, his problems aren’t solved: A helicopter crash-lands near him, and its surviving passenger (Maria Thelma Smaradottir) seems near death. Overgard must leave his camp’s safe shelter, dragging the woman on a makeshift sledge behind him, and seek help. Writer/director Joe Penna, filming in Iceland, makes the most of his setting, finding the hard diamond glint of snow in icy sunshine, and the pale-lavender hue of the evening sky. If it all feels a bit too close to home during the Seattle Snowpocalypse, save this one for streaming next summer; I can imagine it could be quite pleasantly chilling. 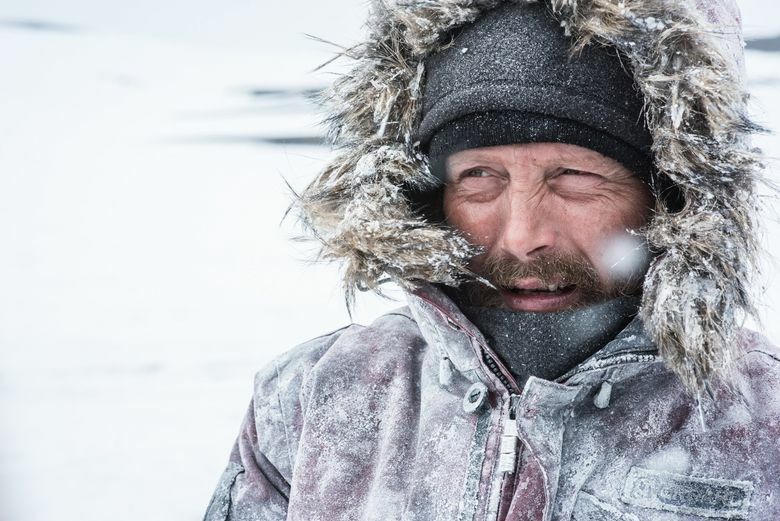 ★★★ ”Arctic,” with Mads Mikkelsen, Maria Thelma Smaradottir. Directed by Joe Penna, from a screenplay by Penna and Ryan Morrison. 98 minutes. Rated PG-13 for language and some bloody images. Opens Feb. 15 at Pacific Place.